Lean and luminous, these detachable LED bike lights withstand all weather conditions and pop with color. Stockholm-based Bookman considered the essentials: color block shape, curved underside, oversized rubber button and a groove for the attaching elastic cord. 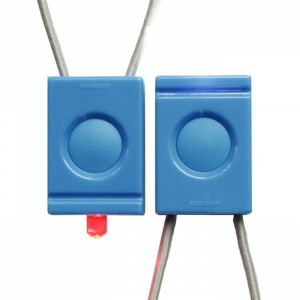 Three flashing modes: slow, fast and steady.